New Mexico has so many great places for metal detecting and treasure hunting. If you love gold prospecting with a metal detector then you will love New Mexico. There are also an abundance of lost treasure tales, old stage stops and historic ghost towns that would be great places to look for treasure. Old homesteads can have lots of fascinating relics buried in the soil that can be found with a metal detector. The state has a long gold mining history and its geology has lots of yet to be discovering gold nuggets waiting to be discovered. There are also lots of old settlements and towns that have lots of coins, relics and other valuables buried under the ground waiting to be discovered. With lots of places to explore and a wide range of valuables to discover, all you need is a bit of research to find places to start your hunt! Here are some of the best places you should start your hunt. There is history all around you! New Mexico has numerous old mines both for gold and for other metals. These old mines have undiscovered minerals and hidden valuables. Many old mines in New Mexico are now part of private properties or other active mines. It is, therefore, important that you get the permission from the current owners of such properties. Sometimes there are abandoned mines that are no longer claimed, and you are free to hunt them with a metal detector. You should also find sites of old mining camps. This is where miners lived when they weren’t working at them mines and there are sometimes hidden treasures at these places. Most people during the time would bury their wealth under their cabins to hide it from thieves. There are chances you will discover such hidden treasure caches when you use metal detectors in such places. Old mining camps are also the place to find lots of lost coins and other valuable items long lost and forgotten. Quite a number of rivers and creek both still running and those that has since dried up were the site for placer gold mining in the state of New Mexico. With a metal detector, you can search these dry washes and find gold nuggets that were missed by the old-timers. Big dry river beds were also transportation routes that settlers would use to travel across the desert. The flat sandy washes made for easy travel, and as such they would camp and spend time around these places. Keep an eye out for evidence of historic camps. New Mexico has several National Forests that have great historic value. Forested lands that now cover parts of old settlements, old mining sites, and former ghost towns. Here you can find gold nuggets, old coins and a lot of interesting relics. Forest such as the Gila National Forest and Lincoln National Forest have good places to search. It is important to observe both the state laws and the federal laws governing the use of forests when metal detecting such areas. Remember to cover up any hole that you dig when you want to recover something from underground. The laws in New Mexico prohibit the collection of ancient artifacts and fossils such as pottery, stone tools and even arrowheads among other things from public lands. It’s not uncommon to find such things when you are out metal detecting, but always take care and follow the rules when on public lands. New Mexico has lots of stories about buried treasure. Many of them are still undiscovered. A treasure hunter armed with a metal detector could potentially find gold and silver of immense value today. There are several active mining claims in New Mexico on lands managed by the BLM. Owners of these claims pay certain fees to have exclusive rights to mine such claims. Most of these claims cover old mines and areas with lots of minerals. If an area is claimed, then you need to seek permission to metal detect there! You might be surprised how many claim owners will let you spend a few days on their claims as long as you ask. Of course, as a rule you should never prospect on an active claim. Some owners simply do not want people metal detecting on their property and this can land you in trouble. I simply mention it because simply asking permission to metal detect on a mining claim (just as you would do on private lands) is a viable option to get you onto some good ground. New Mexico has several hundred ghost towns. Some are still standing while other have been destroyed by nature and long forgotten. These ghost towns site presents a great opportunity for you to find old coins and other valuables when detecting the sites. You can discover lots of lost old settlements by reading the local history and by asking older residents about the area. Remember that some former ghost towns are now on private properties while others lay on public lands such as state parks and national forests. Always ask for permission of the management of such places before metal detecting. This will help you avoid trespass related problems with the current owners. Old travel routes such as abandoned railroads and stage coach routes are also great places for metal detecting. Here you can find lots of lost coins, artifacts and even buried treasure. When metal detecting ghost towns you are likely to discover relics and ancient artifacts. 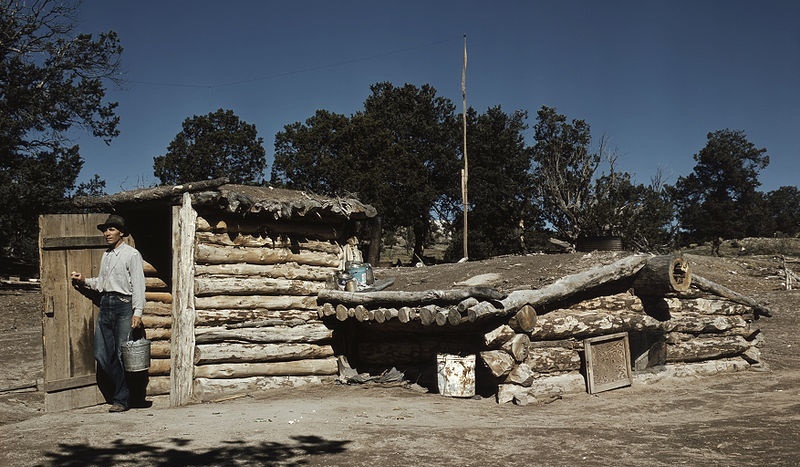 Always remember to observe the state laws of New Mexico on state lands and follow the Antiquities laws that protect certain relics on these lands.